Gold is a real global currency. If the fiat currency of your country fails, only gold can bail you out of this situation. Among all precious metals known to man, gold is the most highly regarded and has built and destroyed empires. People have been fighting since time immemorial for the ability to own this beautiful, glittering metal. Even today, many governments use gold for international trading. It is the most preferred precious metal for investment and acts as a hedge against inflation. Whether a freshly minted coin or old scrap jewelry, gold always has value. Many people, in fact, make a decent profit dealing in scrap gold. It is a lucrative business that entices many. You can have a successful business of buying and selling scrap gold, all you need is to know how to go about it. Learning about the spot price is important for the gold scrap business. The spot price is set daily by Gold Markets around the world and will be the same throughout the world for the day. It can be found on any reputed precious metal dealer’s website or in newspapers. The spot price is always set for one troy ounce of 24 karat gold. 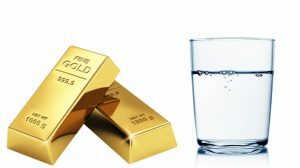 First and foremost, research how to make money buying and selling gold. You can check on the internet; there are several websites which can give you great information. You can also contact people who are already in the business for advice and information. Also, a part-time job with a pawnbroker can teach you firsthand. 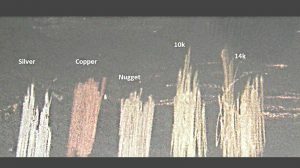 In Europe you can also find gold items that consist of 6k or 8k gold, however, in the USA, it is only considered gold if the product has 10k or more. The most common karats that you will find in gold items in the USA are 10k, 14k, 18k, 22k, and 24k. Jewelers weigh the gold in grams per troy ounce or pennyweight per troy ounce (1 pennyweight = 1.555 grams). You have to divide the spot price by 31.1 to get the gram price or by 20 to get pennyweights. Then multiply the number with the gold purity percentage to get the value of the scrap gold. Let’s assume that the spot price today is $1000; you have to divide $1000 by 31.1 which will give you the answer: $32.15/gram. So the value of one gram of 24 karat gold at this spot price is $32.15. Now if you have to find out the value of 14 karat gold, you have to first determine the purity by dividing 14k by 24k, 0.58, which is 58%. So the value of 1 gram of 14k gold would be $32.15 times 58% which is $18.64. Once you have calculated the value of your scrap gold, you can decide on the price. You can check your local competitor prices and quote your own accordingly. Scrap gold can come in different forms. Some of the common ones that qualify for scrap gold are tangled gold chains, watches, outdated jewelry. Also, entangled or broken bracelets, pins, brooches, rings, wedding/engagement rings, jewelry, or any broken or bent precious metal items. If you want to sell the scrap gold that you own to a jeweler or a refiner, all you have to do is show your ID. Although, if you are planning to get into the buying and selling gold business in the USA, you will need a license. Without a license, you may be violating the law. If you do not want to get a license at present, you can take up a part-time or full-time job as a buyer or broker with a business that already has a license, as suggested earlier. There are a few essential tools that you need to have to check the purity of gold and to determine the weight. The tools will not cost you much, all the instruments together cost around $30 or so. Cash: Because you are buying scrap gold, you need to have enough cash to pay your clients. If you are just starting, consider having at least $500 in your pocket to buy a few pieces of jewelry. 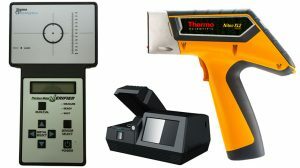 Gold Testing Kit: This is available at a reasonable price. 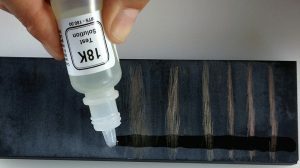 The kit must contain different acids that test for 10k, 14k, 18k, and 22k gold. Scale: Although a kitchen scale is good enough if you are planning to sell your jewelry if you want to get into the business, you will want to invest in a professional jewelry scale. Magnet: The first test you will do is a magnet test. 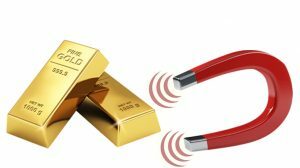 Gold never sticks to a magnet. Usually, gold plated items can have other metal inside which will be evidenced by this test. 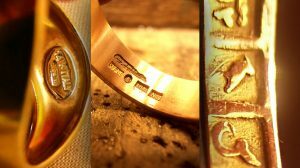 However, brass will also not stick to the magnet and can look similar to gold, and sometimes even have stamps like 10k or 14k, so you have to be careful. File: You will need a file to scrape the outer coating of the item to check if it is genuine gold or plated before buying scrap gold. 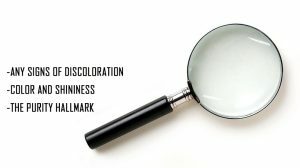 Magnifier Loupe: A loupe can help check many things, like the Hallmark and the karat engravings in tiny markings on the back of any old jewelry. A loupe can also help you check for scratches on the metal to inspect if it is still gold under the scratched part. Look for green spots, which show that it is a gold plated item that has reacted to moisture. Advertising is the best way to let people know that you are willing to purchase their scrap gold. You can do a simple advertisement by telling your co-workers, calling up relatives and friends, informing neighbors, and putting it on your social media page. Many people are uncertain about where to sell scrap gold. You can also get visiting cards printed that you can distribute at gatherings you attend or make pamphlets that you can distribute. If you are working with a pawnbroker, they will probably give you some marketing ideas themselves. You can also go ahead and use newspaper, radio, and television to advertise. Making a website will allow you to do online marketing in the later stages when you have picked up enough clients. When you have done enough advertising and people know about your business, you can start holding gold valuation parties. People can bring their scrap gold to have it evaluated. If they are willing to exchange it for cash instantly, you can purchase their scrap gold. If not, give them your card and ask them to keep you in mind for selling scrap gold. Many people are not comfortable selling their gold to a pawn shop. Organizing a great party with light refreshments and creating a relaxed and friendly ambiance, may help people feel more at ease to sell their gold items to you. If someone else is organizing the party for you, you can consider offering 10% of your profits to the host. Make a list of all your contacts and of all the people with whom you have done business, and make yourself an excellent database of your contacts, which can come in handy in the future. Usually, small pawn shops pay about 30-35% of the value of gold, whereas a reputed dealer will pay you anywhere from 40% to 60% of the price. 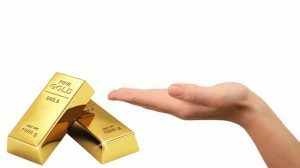 The dealers, after they purchase from you, will have to have the items smelted, refined, assayed, and then poured into ingots before they can proceed with selling the gold. If you go directly to refiners it can be more profitable, but there might not be any well-known refineries near you. Hence, reputed dealers are the better option as you can also mail your scrap gold to them. Once you get the hang of it, buying and selling scrap gold might help you carve yourself a successful career path in the precious metal industry. If you have some scrap gold that you want to sell, ship your scrap gold to us! You can also drop your queries via email at sell@nycbullion.com or call us at (212)-354-5557 to learn more.